This fifth Premier League match week will decide the course of the season for some teams and will answer many important questions. The first answer to be given is “Are Spurs a real title contender”? The other one is can Mauricio Pellegrini start winning points or the Hammers will reluctantly start searchnig for a new manager to save their season. Two other teams to monitor are Newcastle and Arsenal. The Fare Benites led Magpies lack resources, but are taught team who can win against anyone. The Unai Emery led Gunners have won two games after the losses against Manchester City and Chelsea and are looking to build on that. Another very interesting game is the Red Devils visit to Watford. If the Hornet win their fifth game in a row, this will not only set a record at the Vicarage Road, it will open a debate for Jose Mourinho’s exit from Old Trafford. Three days before a game which would be a season-defining one both for Spurs and Liverpool, football analysts and pundit have started a conversation on whether Harry Kane needs a break. According to Garry Neville he played 175 games since 2015 and this is a concern according to the former Manchester united defender. “He needs a mental break… because he’s struggling”. 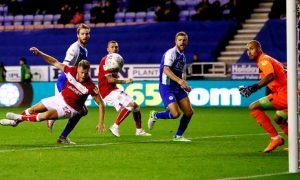 “Harry’s in that bracket where if he’s not scoring sometimes he can look a bit sluggish and even just mentally it would do him good. What are we going to learn by playing him? We know Harry Kane is a great player”, said Jamie Carragher. “He doesn’t look 100 per cent”, added the ex Liverpool defender in his comments for Sky Sports. Well, there will not be many opportunities for Kane to have a break at least not within the net few weeks as Spurs welcome Liverpool at home, then travel to Milano to play Inter in the Champions League. Another away game at Brighton is coming for Tottenham, followed by a home fixture agains Watford in the Football League Cup. There days later Spurs play against Huddersfield in the Premier League and then on 3rd of October travel to Camp Not to play against Barcelona in another Champions League fixture. Hate Kane might be given a brea in the Carabao Cup game against Watford, but the Englands striker has said few months ago that he wants to win trophies. So, if Spurs are the right club for him, they need to win as many games as possible starting from this Saturday. Liverpool haven’t been that convincing against Crystal Palace, Brighton and Leicester City but the Reds won all those games. In any other season Liverpool would have lost at least one of those three fixtures if they played the way they did. But they won them and it came to say that the Jurgen Klopp’s players are finally ready to do whatever it takes to win the games in which they do not play well. This is the first step to win the title. I think that it is going to be a very tactical game against Spurs, and few minor things will decide the game. Liverpool must close all the spaces against Spurs and to be aggressive in the midfield. They might surrender the position to Spurs, but when they have the ball be must be fast and to score. Tottenham will be looking to repeat what they did last October when they trashed Liverpool 4:1 at Wembley. Nothing went the Liverpool’s way in this game. Spurs won most of the tackles and passed the ball very well to their strikers. Harry Kane scored two goals, Delle Ali and Son Heung-Min added another two. In this game Spurs disputed the Liverpool game and the Reds were unable to pass the ball well and made a lot of mistakes. However, Spurs don’t look to be in their best form at the moment and although I’m sure they will give their best to win against Liverpool, the draw is a very likely result. It will cost both title contenders 2 points, but it is still better than a loss. Both teams started the season very good and won 6 points out of 12. Leicester have played against Manchester United and Liverpool and despite loosing both games they played very well. Bournemouth are good at home and it looks to me that both teams will split the points. I don’t see who Cardiff will managed to keep their Premier League place and I seem them going back to the Championship. Under Maurizio Sarri, Chelsea are title contender and it is very likely that on Tuesday morning they will be the only Premier League team who have won all 15 points from their first 5 games. It is a must win game for Huddersfield who should be desperate to win 3 points at home against Crystal Palace. After this game they play against Leicester, Tottenham, Burnley and Liverpool and I do not see them winning any of those fixtures. Crystal Palace have good players who play an average football. The Eagels were lucky to get all the points in against Fulham, but were left disappointed at home by Southampton who won by 0:2. I’ll tip Huddersfield to win, despite that Palace are capable of putting a strong performance and winning the game. Well, no one should b surprise that most projections for this game is a a win for the Pep Guardiola’s side. fulham play a very good football and I think we ill watch them in the Premier League next season. However, this visit to Etihad will be a game where they’d experience the Premier League in full and will learn few things. It is a very important game for Newcastle who need to get out of the relegation zone. 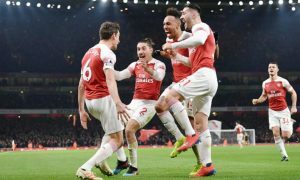 They have the character they need to frustrate Arsenal, but the Gunners are hungry for success and have enough quality in their team to win fixtures like this one. Arsenal are still a team in development and they might make some mistakes which would cost them a lot. It would be historic game for Watford, as they could win a fifth Premier League in a row. I though that the Hornets were likely to be among the relegated teams at the end of the season. The reason is that they have been changing their manager too often within the last few seasons and sold some of their best players. Whatever we say for Manchester United would not be enough as this is a team who has all it takes to win their games and to chase for the title. United were disappointing against Brighton and Spurs, but to be honest we might say that in both games they had a lot of chances to score. If we look at the Watford’s fixtures, they have won against Brighton Burnley and Crystal Palace, which is nothing extraordinary. They game that was a bit of a surprise is their home win against Spurs. Burnely’s UEFA Europa League flirt is over and it harmed the Sean Dyche’s side. They sit at the bottom of the table win one ly one point won on their away visit to Southampton. 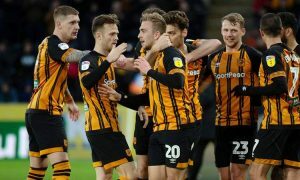 The Clarets are a tough team and I would not be surprised if they draw or win at The Molineux. Wolves play beautiful offensive football and area team which is a pleasure to watch. I think they will win a lot of point this season in fixtures where no one expects them to win. Nuno Espirito Santo has done a great job and his team deserves to progress in the Premier League. Marco Silva could have started a bit better his reign at Goodison Park. 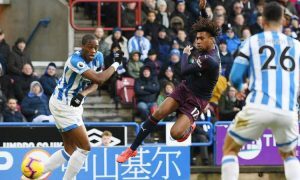 Everton should have won against Huddersfield at home, it was one of those games that teams who want to compete for the top spots in the table usually win. Now they have another chance to add 3 points to their scoresheet against a team who probably feels miserable after loosing 4 game in a row. 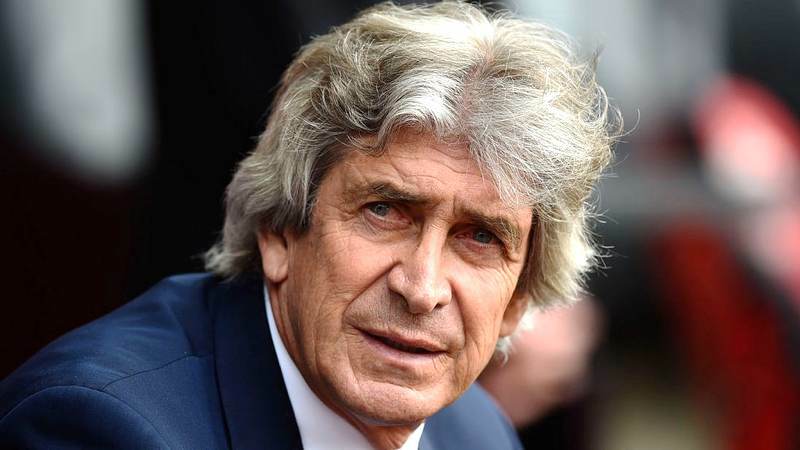 I feel for Manuel Pellegrini, simply because he is one of those managers who improve the overall quality of the Premier League and if he is a bit more lucky, he would do a lot of good things for West Ham. After their visit to Goodison Park, the hammers play against Chelsea and Manchester united at home and then visit Brighton. Then they welcome Spurs and on 5th of October play away at Brighton. I feel for them as it is very likely that they’d still have zero points at the beginning of October. The Saints haven’t started the season well, but Mark Hughes has obviously assembled a team capable of winning. 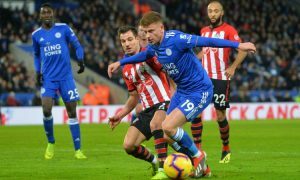 Southampton have already won one game against Brighton 0:1 on their away visit to Falmer Stadium, when both teams met in a EFL Carabao Cup’s Round 2. Brighton are a good side, but I think that Southhampton will win this fixture.